You can LOVE who you are! When you know and love who God made you to be, you can pursue life with security, freedom, and peace. However, when you struggle to love and accept who you are, you won't be able to love others or God. You won't reach your potential. You can ENJOY your relationships and your work! You are significant and important. Your identity is the crucial, intentional part of God's plans and purposes. He designed you before you were born. He has plans for you in eternity. 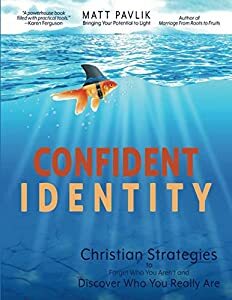 Confident Identity is a three-part book created to help you live confidently by understanding, discovering, and using your God-given identity. Don't miss out on who you are. Invest in the joyful process of discovering who you really are by ordering Confident Identity. Your identity is God's greatest gift to you only if you open it up and discover who you are. Inspirational and transformational, leaves you feeling like you can conquer anything! 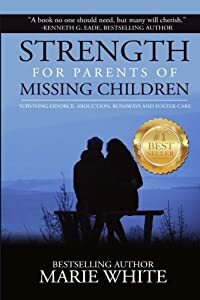 Strength for Parents of Missing Children guides readers through life's journey and helps them find joy and deeper purpose in the midst of pain. It's The Purpose Driven Life for hard times. Marie has used the pain of her experience to reach out to others who are desperate for answers. While written with parents in mind, radio hosts, television hosts and reviewers have all said that it is a book for every human being. More than two million families in the United States have experienced a missing child. Numerous alienated parents, estranged grandparents, foster parents, pre-adoptive parents, and parents of drug-addicted children, are currently facing children missing from their lives. Some people break down mentally or suffer from PTSD. Other people become pathologically depressed, or turn to drugs and alcohol. Many choose to end their suffering through suicide. Marie has taken her family's pain and turned it into the guidebook they didn't have. Going back to day one, she walks parents through each stage of grief, offering hope, comfort and strategies. Winner of multiple awards, the solo medalist winner of the 2017 New Apple Literary Award and winner of the 2018 bronze medal from Reader's Favorite. How do you continue living when your worst fear has been realized? Strength for Parents of Missing Children guides parents through their journey and helps them find joy and deeper purpose in the midst of pain. It's The Purpose Driven Life for parents of missing or alienated children. Marie has used the pain of her experience to reach out to others who are desperate for answers while their child is gone. Dr. Cornbluth is an expert in high-conflict divorce. She is a nationally recognized expert in parenting and childhood trauma and was named Woman of the Year 2016, by Women of Distinction Business Magazine. Logan Clarke has spent more than 20 years finding missing children. As one of the top investigators in the world, Mr. Clarke has been profiled in several books, Newsweek, and television shows around the globe. Dr. Benson is a clinical instructor in psychiatry at Harvard Medical School. He specializes in treating elite athletes, celebrities and high achievers in the professional world. His areas of interest are in addiction treatment and fostering resilience in athletes and entrepreneurs. Dr. Mitsch is the Associate Professor and chair of the Psychology Department at Colorado Christian University. He has worked for Promise Keepers, WorldVenture, The Evangelical Alliance Mission and authored the best-selling book, Grieving the Loss of Someone You Love. Mr. Jeffries is a speechwriter and former alienated-father. He turned his experience into the trailblazing book A Family's Heartbreak: A Parent's Introduction to Parental Alienation. This is a book every family needs. Scroll up and buy your copy today. Silver Medal Winner of the 2018 Reader's Favorites Awards. Displayed at the 2018 Miami Book Fair. Help. I'm Saved. My Spouse Isn't. You have chosen to follow Jesus no matter what. Your spouse isn't interested. Your new Christian life should be amazing. Instead you are defending yourself, fighting for your right to believe, facing friction, strife and one obstacle after another. The unequally yoked marriage is a path of conflict and strife. When you try to share your faith, your loved one is dismissive and argumentative. Obstacles and barriers prevent you from attending church or socializing with Christian friends. Your marriage relationship becomes strained. Likewise, your Christian life becomes a challenge. The Bible says don't leave. You may be the only light he will ever see. But you want to be happy too. Is it possible to have a happy marriage when your loved one is dismissive and argumentative about the faith you cherish? Can your marriage survive? How do you continue to grow in your faith when you are not allowed to share your faith? Is it possible to share your faith inside your unequally yoked marriage when they don't want to listen? Can you be a happy Christian in an unequally yoked marriage? Trying to live a Christian life while married to someone who isn’t saved can be frustrating and daunting. This book provides practical solutions to real-life problems in this complex relationship. Author and former social worker Miranda J. Chivers experienced plenty of ups and downs in two marriages spanning 40 years—including dramatic faith differences. After a lengthy prodigal journey, her re-dedication to her childhood evangelical faith in her second marriage shocked her non-Christian husband. Through prayer and researching the scriptures, she learned how to thrive in her unequally-yoked relationship. And now she’s here to help you recommit to both your faith and your marriage. Unequally Yoked: Staying Committed to Jesus and Your Unbelieving Spouse gives you the tools you need to examine your conflicted marriage and create new roads to healing. Through real-world examples, you’ll explore common problems partners in the unequally yoked marriage. With the author's guidance, you’ll learn to reframe your challenges through a different perspective and pave the way to a happier marriage without sacrificing your faith in the process. Techniques for better understanding your spouse’s mindset and much, much more! Unequally Yoked is your must-have guide for navigating a faith-conflicted marriage. If you like practical solutions to real-world problems, honest advice from a fellow Christian, and examining both your earthly and divine relationships, then you’ll love Miranda J. Chivers’ inspirational self-help handbook. 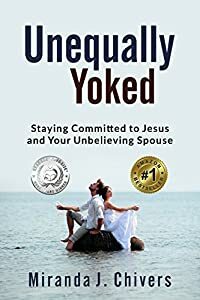 Buy Unequally Yoked to honor your spouse and celebrate your Savior today! This book is an excellent reference tool for Pastors and Marriage Counselors working with couples who struggle with faith differences in their marriage. You need this book for your church and pastoral libraries. Get several copies to loan to hurting couples. 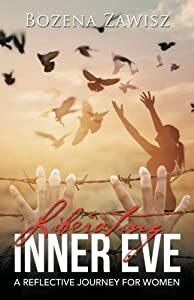 I wrote "Liberating Inner Eve" as a result of my encounters with female clients from a Christian background who struggle to find a sense of personal strength, high self-worth, love, and acceptance. "Liberating Inner Eve" offers psychological insight around the impact of commonly found interpretations of the teachings of the Old Testament (in particular the Genesis account of Adam and Eve) and New Testament (the lifetime of Jesus), on various themes relevant to women's daily lives, such as how they experience their identity, self-acceptance, and self-worth. Through "Liberating Inner Eve" I long to share with others how empowering the Bible can be in helping women find self-love, self-acceptance, and personal strength. Deliverance ministry is a touchy subject. Just mention the word deliverance, and many people conjure up images of The Exorcist and other media stereotypes. At a time when the world is confused about deliverance, Remedy offers insights on the true authority that Christ intends every believer to walk in. 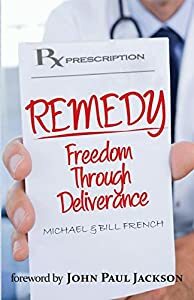 Written by renowned experts Michael and Bill French, this book covers foundational elements and application of deliverance ministry and includes real-life experiences over their 60+ combined years of ministry. The foreword by John Paul Jackson emphasizes the spiritual authority that believers wield in the war raging in people's lives. An act of emotional or physical adultery should not result in the end your marriage. Find out how you can walk in true emotional healing and allow for the pure love of God to help restore your marriage covenant. 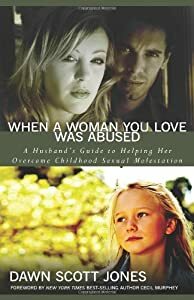 If you are looking for an outlet to help encourage negativity towards your spouse following an act of emotional or physical infidelity, then this book is not for you. However, if you are looking for hope, this self-help guide is filled with practical wisdom along with prayers, my personal testimonial nuggets and the word of God to help you refocus on what's important. This book is written to help instruct and encourage people who have experienced emotional or physical infidelity within their marriages. 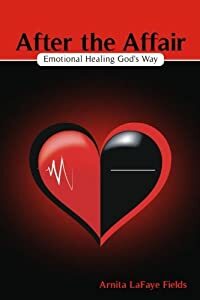 The simple steps shared inside these pages will help to guide individuals, couples or participants in a small support group back onto the right path and to receive and experience the emotional healing which God has freely made available for them. 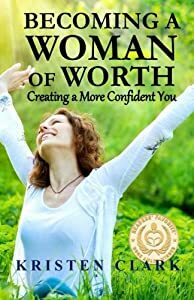 With Social Media and Selfies taking their toll on self-esteem, ‘Becoming a Woman of Worth: Creating a More Confident You’ inspires women of all ages to change their minds about themselves through a Christian approach to developing confidence for greater personal success. Encompassing straight forward, no nonsense tips and suggestions, this book directs women to the scriptures in an effort to build confidence by seeing themselves as God sees them. Carla's grandmama is the inspiration behind My Prayer Chair. Her love, trust, and ongoing communication with Jesus played an important role in molding Carla's prayer life. 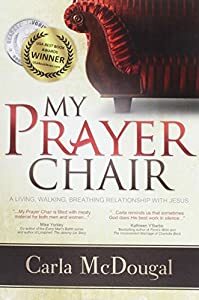 Throughout My Prayer Chair Carla challenges the reader to develop a moment-by-moment living, walking, breathing relationship with Jesus! Someone once said, "Experience is the best teacher," and as long as it's someone else's experience, it is! Some things, like ministering the gifts of the Spirit, are only learned from personal experience, but it helps to have a few hints along the way. 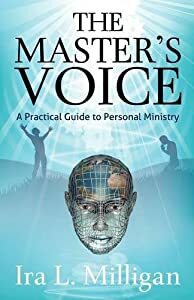 This book is written to share the lessons learned from over thirty years of personal ministry. Whether you are a seasoned veteran or a complete novice when it comes to operating spiritual gifts, this book is for you.